Who is Phil and how did Phil’s Friends get started? Phil Zielke, the Founder and President of Phil’s Friends is a two-time survivor of stage 4B Hodgkin’s Lymphoma. Diagnosed at age 22, Zielke underwent intense treatment including chemotherapy, radiation. and a stem cell transplant. Laying in his hospital bed, Zielke received cards and care packages from individuals he never met. Through this action of love, the idea of Phil’s Friends was born. In 2006, Phil’s Friends delivered its first care package to Jenna, a four year old brain cancer patient. What is the Vision and Mission of Phil’s Friends? The Mission of Phil’s Friends is to provide Christ-centered hope and support to those affected by cancer. It is our Vision to expand to a sustainable international organization by implementing new programs, increasing services, expanding volunteer opportunities, and developing needed support for individuals and families affected by cancer. What is the impact of Phil’s Friends? Phil’s Friends supports over 14,000 friends with cancer across the United States on a consistent basis. Through additional programs such as the Phil’s Friends Hope Centers, Hope Packs, and the Phil’s Friends Hope to Hospitals Program. it is estimated that over 100,000 individuals received support through Phil’s Friends in 2017. How is Phil’s Friends funded? 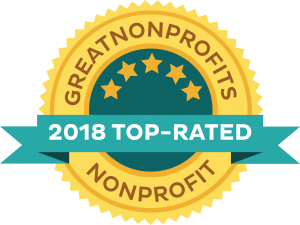 As a 501(c)3 non-profit organization, Phil’s Friends is solely funded through the generosity of individual donors, corporate donations and grants. Phil’s Friends accepts in-kind donations of items used in the Phil’s Friends Care Packages, however, our greatest need is financial donations. Donations can be made through the Phil’s Friends website (ACH or Credit Card), the text to give program (text “GIVE” to 815-645-5229), or via checks made out to “Phil’s Friends”. Phil’s Friends is also registered with corporate giving services such as Benevity and Thrivent. Donors can be assured that 85% of their donation goes directly to programming and right into the hands of those that Phil’s Friends serves. Does Phil’s Friends have a Board of Directors? Yes, Phil’s Friends has a Board of Directors made up of wonderful individuals from many different walks of life. Board Member Bio’s are available upon request. What is a Hope Center and where are they located? Our Hope Centers are the heartbeat of the Phil’s Friends mission to bring hope. Hundreds of individuals come here every week to pack Care Packages and decorate boxes and cards that will be sent across the country to individuals battling cancer. It’s a fun and unique volunteer experience. Everything that volunteers and staff do here goes directly into the hands of a friend journey through cancer. This is truly the place for bringing hope! Click here for more information on our Hope Centers. The Phil’s Friends Hope Center offers many different opportunities to serve as a volunteer as a group or as an individual. All volunteers must sign a waiver prior to serving at Phil’s Friends. The volunteer waiver is available HERE. Our Hope Center can accommodate up to 45 volunteers at a time. You can organize a group of your family and friends or from your clubs, community organizations, churches, corporations, sports teams and more. During these 90 minute sessions, you will be able to make and pack Care Packages and color Cards of Hope. Click here for more information. If your group has less than 10 persons, feel free to utilize our walk-in sessions. Can I get verification of volunteer hours for academic credit or for community service hours? Individuals are welcome to volunteer at our Hope Centers and receive documentation of their service hours during the walk- in volunteer times. The Hope Center staff must be able to verify the individual’s service dates and times–signed waiver forms with each serve. Please note that any individual serving court ordered community service may be asked to undergo a background check. What does a volunteer do when serving at the Hope Center? There have been all sorts of amazing groups that have joined with us to drive forward the mission of bringing hope to those affected by cancer. Families, businesses, community and church groups, schools, organizations and more! During a 90 minute session, you can tap into your creative genius to color and decorate Care Package boxes and Cards of Hope. You’ll also have an opportunity to pack Care Packages that will be going to a friend with cancer. Who can receive a care package? We send Phil’s Friends Care Packages to men, women, and children of any age who have cancer. Patients receive only one care package from Phil’s Friends and will receive Cards of Hope thereafter. We recommend that advocates provide the residential mailing address for the intended recipient. (NOTE: We DO NOT ship to addresses outside of the United States.) We cannot deliver care packages to patients in hospitals and treatment centers, except through our Hope to Hospitals program. If you would like more information on which hospitals we currently partner with, please email shannona@philsfriends.org. Our care packages are sent anonymously, so your loved one will not know who requested a care package on their behalf. The reason for this is that the care packages are packed in advance by Hope Center volunteers. Feel free to contact your loved one to let them know that you submitted a request to send them a care package. What items are in a care package? A Care Package is a small gift of hope, carefully hand-packed by volunteers at our Hope Centers and sent to individuals battling cancer. Care Packages come in different varieties, depending on the recipient. Each one is filled with items that are practical, comforting and entertaining. Hundreds of these Care Packages are distributed every month. They are shipped across the nation from our headquarters in Roselle, IL or personally delivered to hospital patients by our Hope to Hospitals team. Can I donate items for care packages? Phil’s Friends welcomes donations of new, unused items for our care packages. Click here for a listing of our care package needs. Is there a cost for a care package? Advocates may stop by one of our Hope Centers to pick up a care package free of charge to take to a friend with cancer. We do offer to ship care packages to residential addresses for a minimum donation of $7.00 to offset the cost of shipping. Advocates who request a care package through www.philsfriends.org will be prompted to provide credit card information before the request can be completed. How long does it take for a care package to arrive? Our care packages are shipped one day a week and are sent via FedEx Smartpost. This means that the package will leave Phil’s Friends via FedEx and be delivered to the US postal facility that serves the patient’s address. The postal carrier will then deliver the care package. The average time frame is 5 to 8 days, depending on the destination. Why does Phil’s Friends send Cards of Hope? Every month thousands of encouraging cards, testimonies, devotional letters and postcards are mailed to all of our friends with cancer with one purpose: to bring consistent hope and support to them along their journey. Every card, letter and postcard is made through the collaborative effort of volunteers and staff in order to provide encouraging support to our patients. In fact, the colored cards are personally made by volunteers in the Hope Center and also from schools, churches, and homes all over the United States. Want to help? Click here. How does someone get added to the Cards of Hope mailing list? Click here to send encouraging cards to someone you know affected by cancer. What is Hope to Hospitals and what is their goal? Where does Hope to Hospitals serve? How does Phil’s Friends protect patient privacy? Can I volunteer to visit patients in the hospital on behalf of Phil’s Friends? For answers to these questions and more, please email Shannon Andersen, our Hope to Hospitals Director. Does Phil’s Friends have support groups for cancer patients and their family members? We have a listing of resources we would be happy to share with you. Please email info@philsfriends.org. Can I share my story? Yes, we would be thrilled to share in your story. Click here to share with us. Download the Phil’s Friends App. How can I help? We have many opportunities for volunteering with us. Please click here for more information.